Remember the first time you washed your hands with a hands-free faucet? It's likely that you were surprised but also amazed by the technology. These days, sensor-controlled lavatories can be found all across the country in many commercial establishments, from office buildings to restaurants. After all, it only makes sense that you shouldn't touch anything else in the bathroom after washing your hands. Delta Faucet has understood the demand for this growing trend, and this is why the company has released its line of residential faucets with the Touch20.xt technology. The system is based on two existing Delta brand technologies - Touch20 Kitchen and the Proximity Sensing, according to the company. The technology enables the whole faucet to act as a sensor, so it will respond whenever someone approaches the device. There are currently two available models that have Touch20.xt - the Lahara and the Addison. 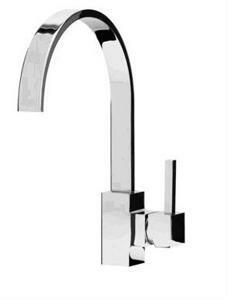 Both faucets come in several finishes like chrome, bronze and stainless. If you're ready to revolutionize your bathroom experience, be prepared to shell out anywhere from $400 to $500 depending on the finish that you choose.